← Supporting our troops AND $3.95 Margaritas…..say no more! The great folks over at Silver Lake Country Club are launching a new yoga practice called Yoga On The Green. They will bring in certified Yoga Instructors from local yoga studios to lead the classes. Sessions will be held on their dedicated yoga green that is nestled in a cove surrounded by trees and gardens on the golf course. Classes start Friday June 10th and the first one is FREE! Subsequent classes are only $10 per class. There is a session for moms with babies in strollers, which I think is great, at 9am that welcomes and encourages you to bring your little ones along for the class. 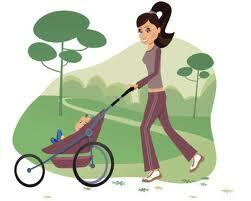 What a great way to get in shape and meet other moms! If you prefer to practice your yoga sans children, the 7:30am class is the option for you. 9:00am *This class is open to all, with a special invitation for moms with strollers who want to join class while looking over their little one(s). It may be a little noisier than the 7:30am class. The first week (June 10th) is FREE, following weeks will be $10 per class. We kindly request that participants email yoga@silverlakecc.com each week with the class time you plan on attending. It is not required and you may join class without RSVPing, but we appreciate you helping us predict attendance! A yoga mat or towel, a water bottle, and yourself. This entry was posted in Deals and Sales, Everything else, Family, Local Businesses, Parenting, Uncategorized and tagged Moms, Orland Park Yoga, SIlver Lake. Bookmark the permalink.